In the past year, the Supreme People’s Court (SPC) has issued several policy documents that contain the same phrase: serve the nation’s major strategy (服务国家重大战略). When SPC President Zhou Qiang gave his report to the National People’s Congress (NPC) in March, 2016, one section addressed this topic. Provided service for the country’s major strategies. Issued opinions on the people’s courts providing judicial service and protection for the construction of One Belt, One Road, the development of coordinated development of Beijing-Tianjin, and Hebei, and the development of the Yangtze River Economic Belt, appropriately tried related cases, promoted the coordinated development of geographic areas. What, if anything, does serving the country’s major strategies mean for the Chinese courts? This blogpost briefly looks at one of the policy documents cited by President Zhou Qiang to find out. Opinion of the SPC on Providing Judicial Services and Guarantees for the Coordinated Development of the Beijing-Tianjin-Hebei Region 最高人民法院关于为京津冀协同发展提供司法服务和保障的意见 (18 February 2016)(Beijing/Tianjin/Hebei Opinion) . What are the country’s major strategies? the fundamental purposes of China’s national strategy (guojia zhanlue) (1) to safeguard China’s national territory and sovereignty, (2) to guide national construction and social development, (3) to strengthen national power, and (4) to ensure continued national prosperity….China’s national strategic objectives (guojia zhanlue mubiao) constitute those fundamental strategic principles, concepts, and priorities guiding not only foreign and defense policy but also critical domestic realms concerned with national construction and internal order. These objectives include the attainment of great power status in the economic, technological, social, and military realms…, and the development or maintenance of capabilities to defend against any internal or external threats to China’s political stability, social order, national sovereignty, and territorial integrity. 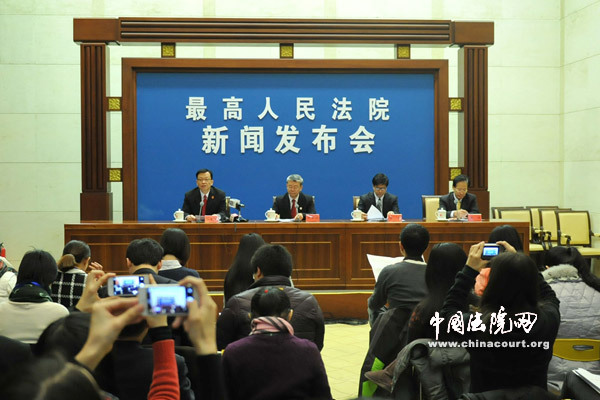 It was drafted to support the Beijing/Tianjin/Hebei regional integration plan because the economic integration plan will “inevitably produce a large number of legal disputes, particularly trans-regional legal disputes.” The SPC research office seems to have taken the lead on drafting it, because its head appeared at the press conference to explain it. Cases involving people’s livelihood, particularly those involving public services, education, medical and health; social protections; promoting entrepreneurship, equal education, etc. Focus on major projects and construction projects related to regional integration. The Beijing/Tianjin/Hebei Opinion also establishes greater coordination among the three courts, including a mechanism chaired by the SPC, exchange of judges, and calls for work on centralization of certain types of cases in certain court. The Opinion calls for the lower courts to focus on the overall regional integration plan and promote the use of “diversified dispute resolution,” and pre-filing mediation, especially in policy-oriented, sensitive cases, where the local Party Committee, government, and other departments must be relied upon to resolve issues. ( 特别是对于政策性、敏感性强的案件，要紧紧依靠当地党委、政府及有关部门依法解决). As a central government institution, the Court must do its part to support national major strategies. To inform the lower courts of the priority issues, projects, and matters, the SPC issues policy documents, which are the court system’s version of policy documents issued by other Party and state organs. Each of the three national major strategies raises a set of legal issues. Some of those legal issues are relevant to the function of the courts in hearing cases, while others relate to the function of the SPC as a “quasi-legislator,” as when it issues judicial interpretations. They often relate to forthcoming initiatives or sometimes long-term issues for the SPC, as in the case of the OBOR Opinion. However, these documents also signal that some issues, projects, and matters are more important than others, and ultimately does not contribute to public trust in the judiciary. My thanks to a Hong Kong solicitor for criticizing the Hong Kong courts for lacking the “spirit of service” during a recent symposium on the mainland (bringing this issue to my attention) and a (mainland) academic for expressing to me his doubts that the SPC’s OBOR Document had any significance whatsoever. The Supreme People’s Court Observer recently worked with Barbara Finamore, Senior Attorney and Asia Director of the Natural Resources Defense Council (NRDC), in analyzing an crucial development concerning China’s climate change plans, the National Development and Reform Commission (NDRC)’s National Climate Change Plan for 2014-2020 (National Climate Change Plan). (For those readers who are not familiar with the NRDC, it is one of the US’s leading non-governmental environmental organizations and has worked with Chinese government, academic, and non-profit organizations for about 20 years. The National Climate Change Plan, approved by the State Council, was issued in late September but released in early November. Among the many goals identified by the NDRC are the development and expansion of climate change-related policy and legislation. It is likely that the Chinese courts will need to handle climate change-related litigation some time in the future. The National Climate Change Plan also encourages Chinese entities to cooperate with international organizations (including the World Bank and Asian Development Bank) and foreign countries in considering foreign experience that can be adapted to the situation in China. 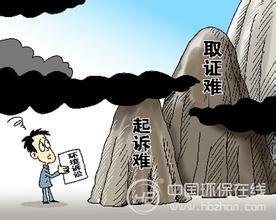 It is likely that climate change innovations that are successful in China will be promoted overseas. Our blogpost, where we analyze the latest climate change developments in their international and domestic Chinese context, is linked here. Thank you Barbara, for giving me this opportunity! 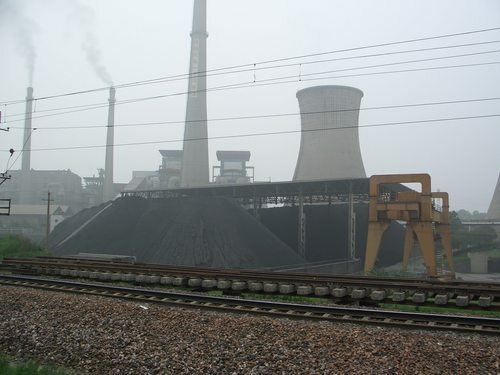 Comments on China’s model for environmental public interest litigation? If you want to review and comment on China’s model for environmental public interest litigation, now you have your chance. 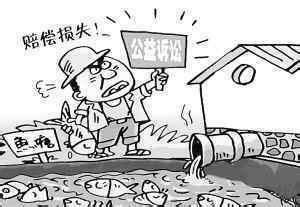 On 1 October the Supreme People’s Court (Court) issued its regulations on environmental public interest litigation for public comment. The Court had highlighted the importance of these regulations in its July, 2014 policy document on environmental and natural resource tribunals. The Environmental Protection Law, amended earlier this year, gives the legislative framework for the regulations (a quick summary of the amendments can be found here). The comment period is 1 month. The draft was published on the Court’s official website and is linked here. The notice requests that comments be accompanied by an explanation, and be submitted either on paper or electronically. The mailing address in Chinese is: 北京市东城区东交民巷27号，最高人民法院环境资源审判庭，邮编100745. The English address is: Environmental and Natural Resources Division, The Supreme People’s Court, No. 27, Dong Jiao Min Xiang, Dongcheng District, Beijing 100745. The email address for comments is: zgfyhzt@sina.cn.